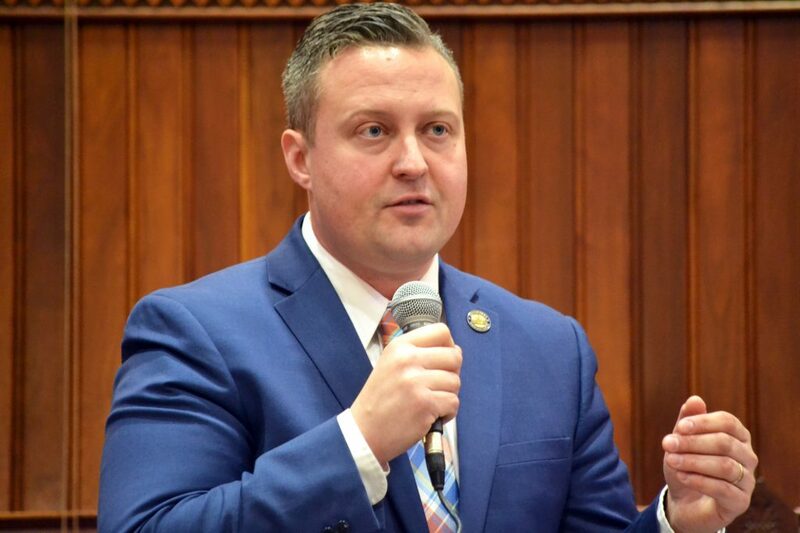 HARTFORD – State Representative JP Sredzinski (R-112) voted on Monday to override Governor Dan Malloy’s veto of a bill prohibiting future governors from making cuts to education aid in the middle of a fiscal year. Although there was enough support in the House to override the governor’s veto, the override effort failed to achieve 2/3 support in the Senate and was ultimately unsuccessful, meaning Governor Malloy’s veto will stand. Public Act 18-35 was legislation intended to impede a Connecticut governor from withdrawing Education Cost Sharing funds already promised to a municipality for the school year. The bill was a key legislative priority for Rep. Sredzinski because Monroe has been targeted for mid-year funding holdbacks by the governor in recent years. “Our current governor has gotten into a destructive habit of irresponsible spending on pet projects, then withdrawing funding from local school districts to make up the difference for the spending – this new law was intended to put a stop to these unprecedented actions,” said Rep. Sredzinski. “Making unanticipated mid-year cuts to municipalities causes chaos for town officials who must scramble to plug the holes in their budgets left by the cuts. This means making cuts to school districts and scaling back core government services that families rely on, and relying on property taxpayers to make up for the rest. “I am disappointed that there are still legislators who vote in lockstep with Governor Malloy in spite of the impact his cuts have had on schools across the state. Our current governor’s use of his executive powers is irresponsible and without precedent. The legislature should have acted to take this power away from this governor as well as any future governor,” said Rep. Sredzinski. The veto was sustained in a special session of the General Assembly after the Senate fell two shorts of the 2/3 support needed to override, although the House override effort successfully passed on a 103-33 margin.